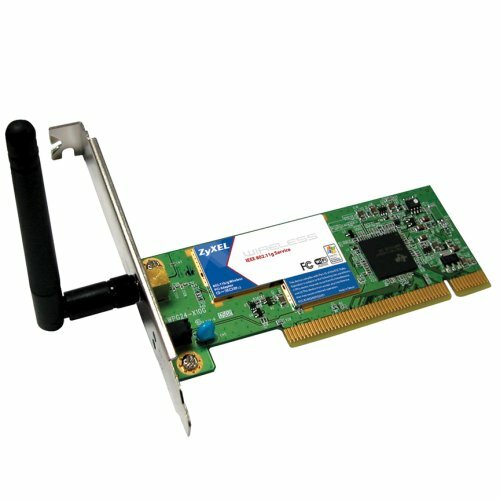 The ZyXEL G-302 Wireless PCI Adapter is a convenient and easy way to add high-speed 802.11g wireless Internet to your desktop computer. The G-302 allows you to wirelessly connect your computer to the network via a standard access point, or directly to another wireless computer via ad-hoc networking mode. WIFI certification ensures compatibility with other wireless networking products while supporting WPA, WPA2, and up to 128-bit WEP keeping your data secure.